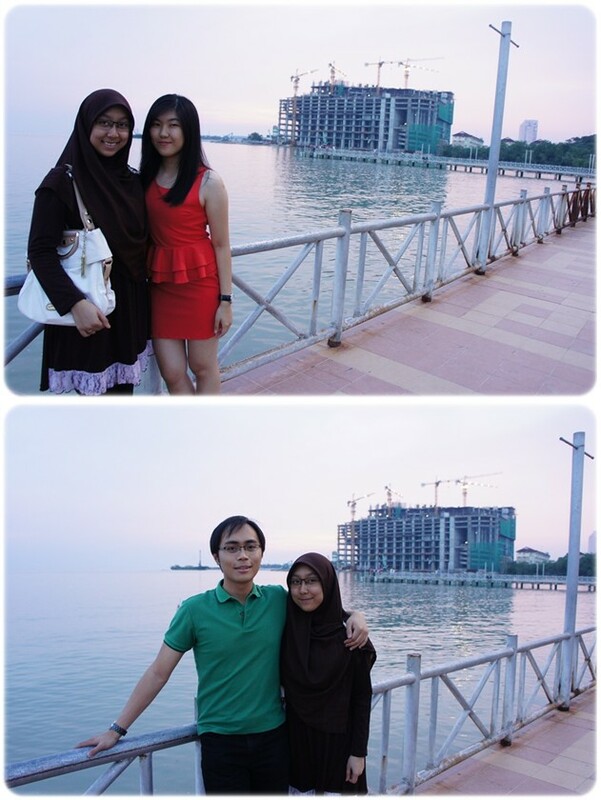 Few weeks back was the day where Fik had a mini reunion with his family. I'm just one of the busybody who tagged along. We went to Portuguese Settlement for some seafood and we waited for almost 2 hours for our food to be served. Crazy crazy place. Dah la kebuluran at that time. Awesome Mango Juice. Very sour indeed. Trying to enlarge his eyes. After dinner, we had a short lepaking session at Limbongan. Celebrating my actual birthday without celebrating. The baka boyfriend didn't even wish me coz he thought my Birthday passed already. Mentang-mentang we celebrated earlier. Cish! How could you! Kata cinta. Semuannya dusta sahaja. Love balloon from Amirul. He got it for free, hence he gave it to me. Cheapo friend. Dinner in Pak Putra the following day. 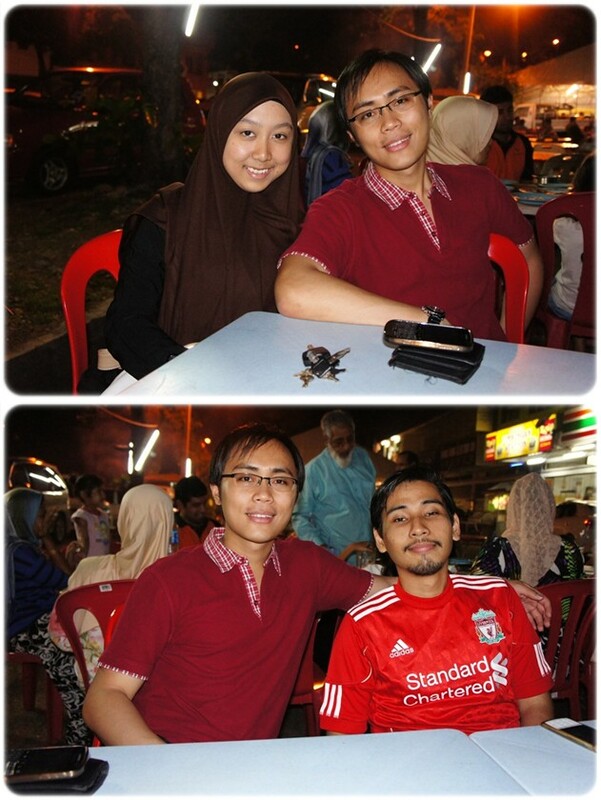 We looked high and low for Burger Bakar Abang Burn in KL. The one in Melaka was not operating anymore. I wonder why. Perhaps they have moved to some other location which I have no effing idea where is their new whereabouts. The happy girl with her Burger. Saw a beautiful rainbow while we're driving back to Melaka. Attended friends long call ceremony. My very own long call is set on the 4th of July 2013, which is next month. Finally it's my turn bebeh! Officially an Advocate and Solicitor. Awww so sweet. The loving husband and wife. Ps: I'm done with my 9 months chambering and I'm totally FREE for now. Hip-hip-hooray! Thanks to my three bosses, Maryam, Cik Arasy and other colleagues for guiding me throughout the entire 9 months. Gonna miss all of you. Will blog about my peninsular vacation trip once I'm done travelling.